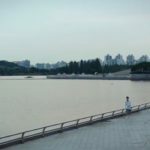 Ilsan Lake Park [일산호수공원] is an evergreen K-Dramaland location, which often appears in final episodes, particularly if it’s a happy ending. 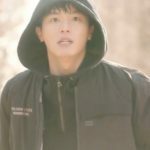 Note: spoilers ahead if you’ve not watched the shows. 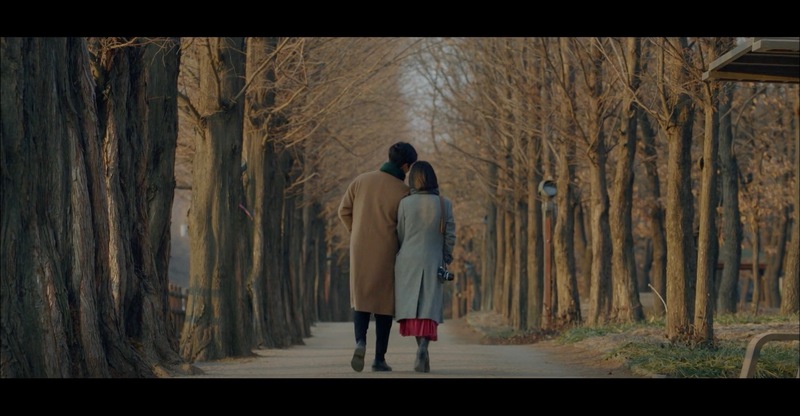 Cha Soo-hyun (Song Hye-kyo) and Kim Jin-hyeok (Park Bo-gum) head to Metasequoia Alley Way [메타세콰이어 길을] for a date in episode 11 of Encounter/Boyfriend (남자친구) (tvN, 2018-19). 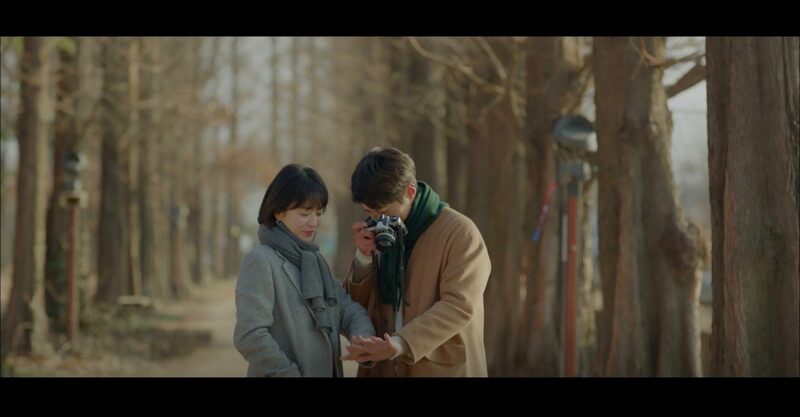 Jin-hyeok shows Soo-hyun how to take photos and later presents her with couple rings. 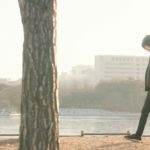 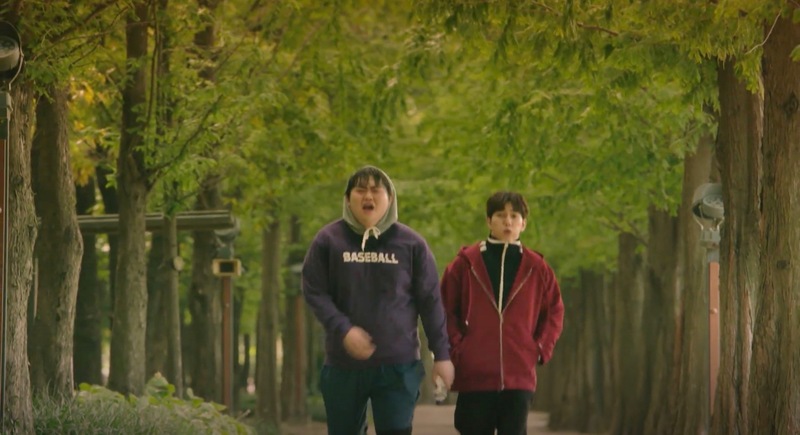 Kang Bok-su (Yoo Seung-ho) comes the Metasequoia Alley Way [메타세콰이어 길을] of this park for a jogging with a client in episode 4 of My Strange Hero/Bok-Su’s Back (복수가 돌아왔다) (SBS, 2018-19). 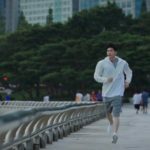 Seo Do-jae (Lee Min-ki) comes here for his morning jogging in episode 4 of The Beauty Inside / Byooti Insaideu (뷰티 인사이드) (JTBC, 2018). 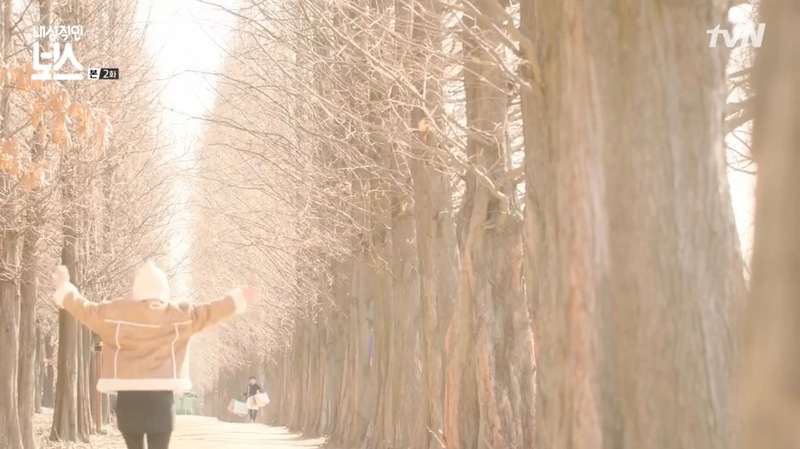 Kim Myeong-ha (Kim Min-gue) meets Mong-mong (Elkie from CLC) here at a wooden swing amidst the cherry blossoms in episode 24 of Rich Family’s Son (부잣집 아들) (MBC, 2018) to talk. 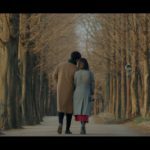 He tells her not to give up on her studies and leave Korea, and she inadvertently admits that she liked him from the first time they met. 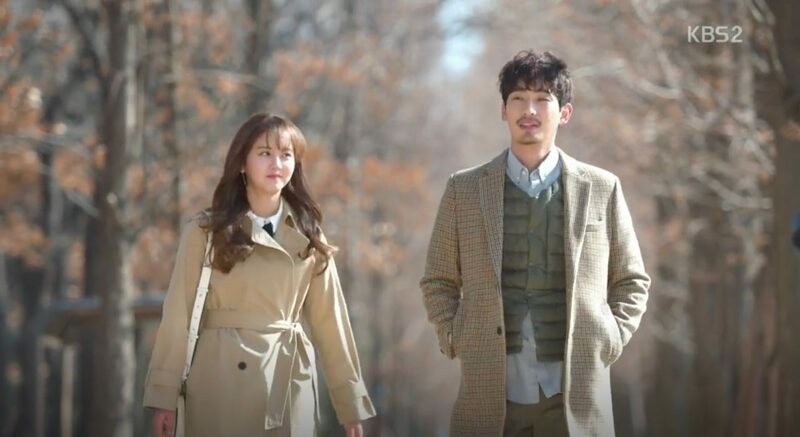 Song Geu-rim (Kim So-hyun) and radio PD Lee Kang (Yoon Park) come here in episode 11 of Radio Romance (라디오 로맨스) (KBS2, 2018), where they spend an afternoon together. 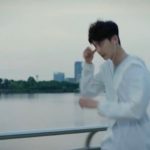 It is at the Ilsan Lake Park Clock Tower [일산호수공원 시계탑] that Mawang (Cha Seung-won) carries the Olympic torch and gets stabbed (or lets himself stabbed for humankind) by a demon-possessed human in episode 11 of Hwayuki/A Korean Odyssey (화유기) (tvN, 2017-18). 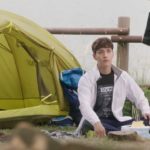 Ji Eun-hyuk (Choi Tae-joon) camps here in episode 15 of SBS Suspicious Partner (수상한 파트너) (2017) to celebrate his birthday, and Cha Yoo-jung (Nara) drops by with a gift. Eun Ho-won (Ko Ah-sung) and Seo Woo-jin (Ha Seok-jin) go on a date here in episode 11 of Radiant Office (자체발광 오피스) (MBC, 2017). 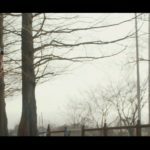 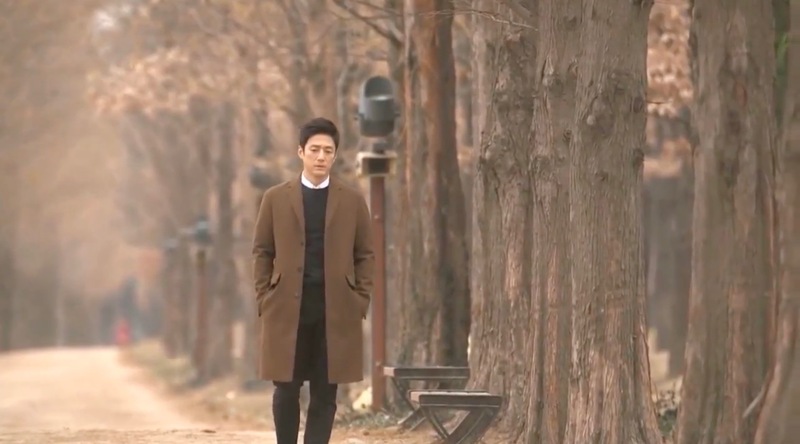 Company Brain holds a fashion shoot here in episode 2 and 3 of Introverted Boss/My Shy Boss/Sensitive Boss (내성적인 보스) (tvN, 2017) – with CEO Eun Hwan-ki (Yeon Woo-jin) becoming the clothing courier against his will while passing through the Metasequoia Alley Way [메타세콰이어 길을]. 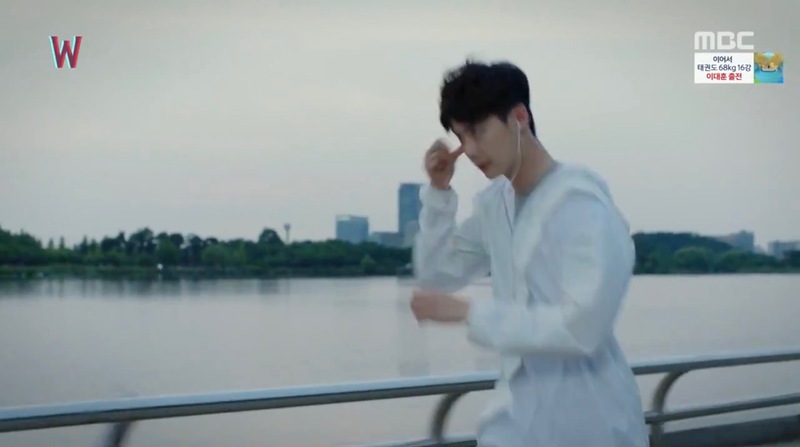 Kang Chul (Lee Jong-suk) goes jogging here in episode 9 of W Two Worlds (더블유) (MBC, 2016). 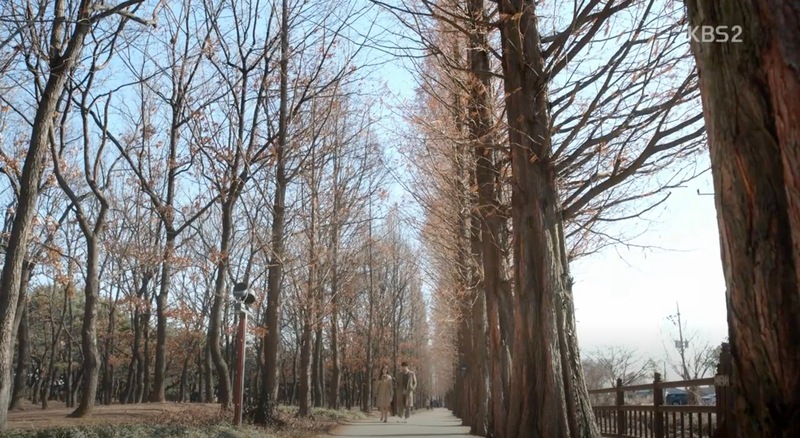 Bong Hae-ryung (Kim So-yeon) and Seo Ji-gun (Lee Sang-woo) take a walk on the Metasequoia Alley Way [메타세콰이어 길을] in episode 11 of Happy Home (가화만사성) (MBC, 2016). 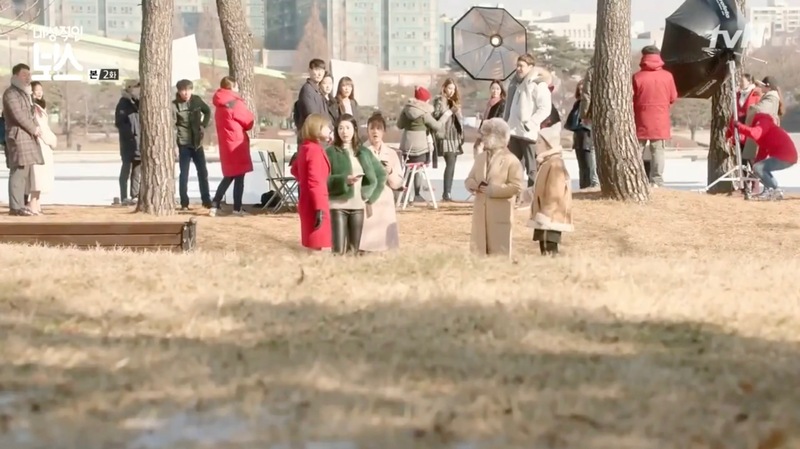 The teaser trailer of Lucky Romance (운빨로맨스) (MBC, 2016) was filmed here. 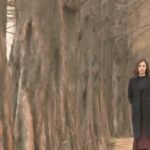 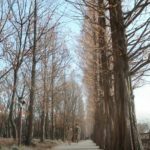 The Metasequoia Alley Way [메타세콰이어 길을] of this park is a special place for Do Hae-gang (Kim Hyun-joo) and Choi Jin-eon (Ji Jin-hee) where their love is affirmed and reaffirmed again and again in I Have A Lover [애인있어요] (SBS, 2015-16); as for instance, in episode 18 and 33. 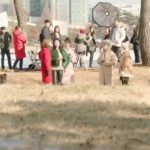 We see Seo Eun-ha (Soo Ae) and Choi Min-woo (Ju Ji-hoon) with their daughter in final episode 20 of Mask (가면) (SBS, 2015). 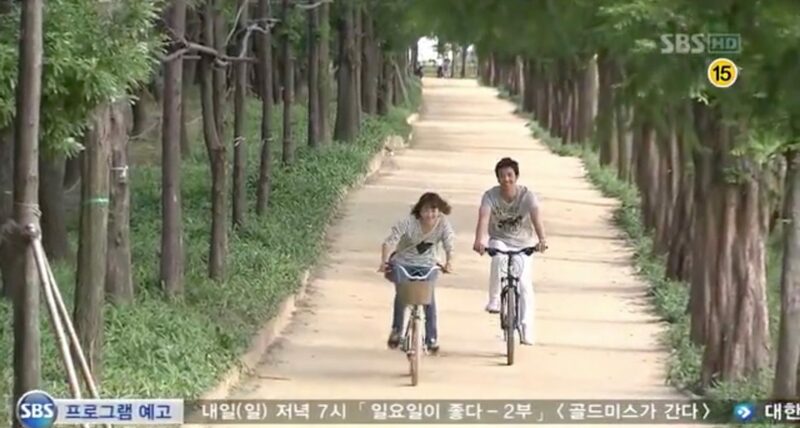 The last scene in the final episode 16 of Sensory Couple/The Girl Who Sees Smells (냄새를 보는 소녀) (SBS, 2015): Choi Moo-gak (Park Yoo-chun) and Oh Cho-rim (Shin Se-kyung) ride a bike together. 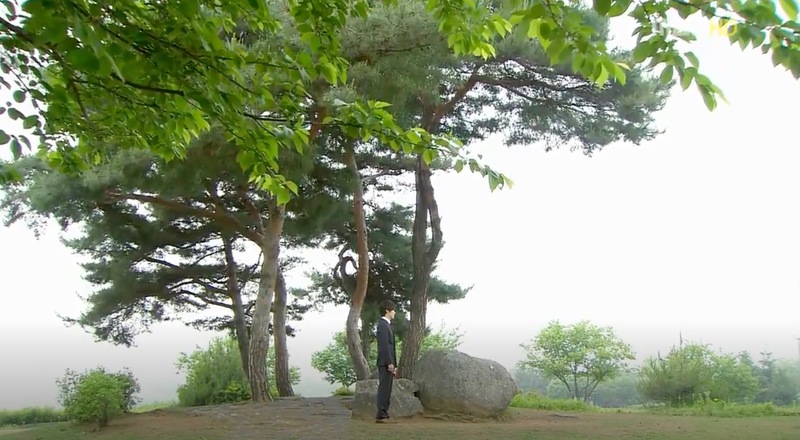 Chun Song-Yi (Gianna Jun) and Do Min-joon (Kim Soo-hyun) argue here in episode 17 of My Love from Another Star (별에서 온 그대) (SBS, 2013-14). 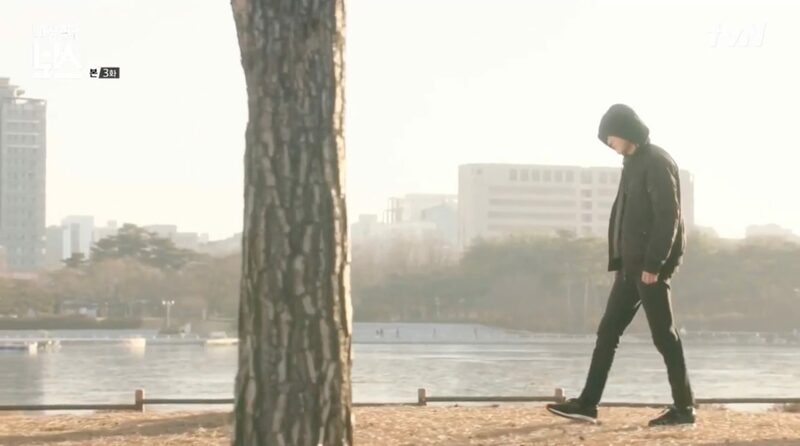 The final scene where we see Cha Eun-sang (Park Shin-hye) and Kim Tan (Lee Min-ho) walk in the snow in episode 20 of The Heirs (왕관을 쓰려는 자, 그 무게를 견뎌라 – 상속자들) (SBS, 2013) takes place here. 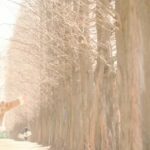 But both of them already took a walk here in through the autumn leaves tree of Metasequoia Alley Way [메타세콰이어 길을] the morning after their camping trip in episode 11. 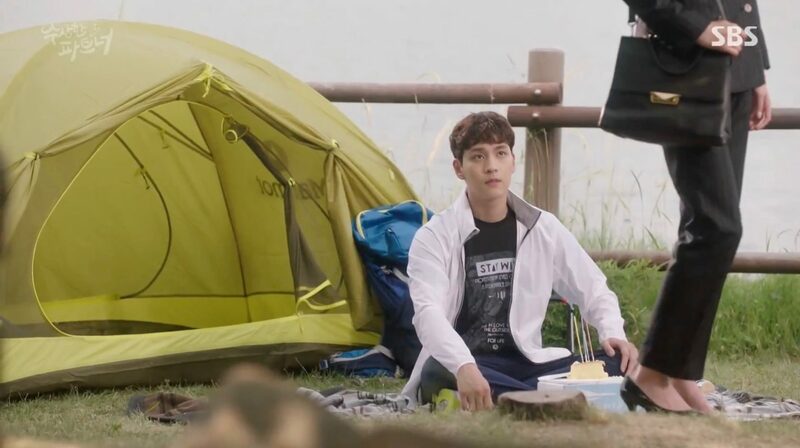 Kim Do-jin (Jang Dong-gun) and Seo Yi-soo (Kim Ha-neul) go here on a highly emotional picnic in episode 16 of A Gentleman’s Dignity (신사의 품격) (SBS, 2012). 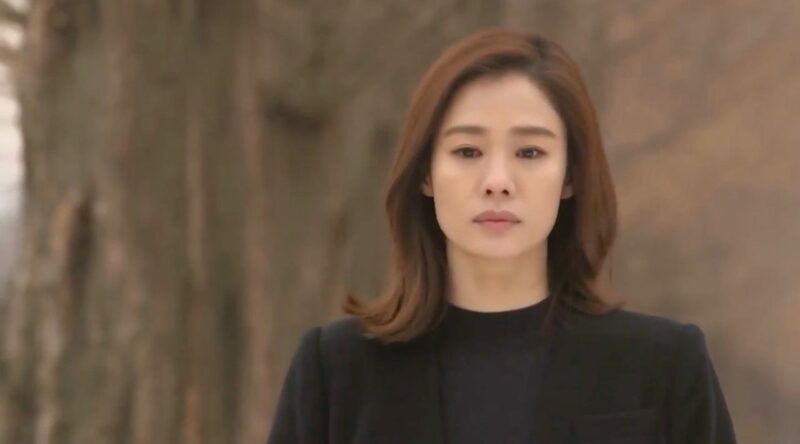 Jang Joon-Ha (Namgung Min) brings his half-sister Bong Woo-Ri (Hwang Jung-Eum) here in episode 20 of Can You Hear My Heart (내 마음이 들리니) (MBC, 2011); the last time he will appear as Bong Ma-Roo in front of Woo-ri and their last date without Woo-ri knowing it (he constantly remembers scenes from their childhood when the two came to this park and he confessed his feelings to her). 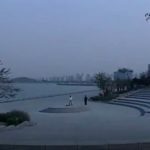 They say goodbye on the Evening Island after having eaten ramyun together. 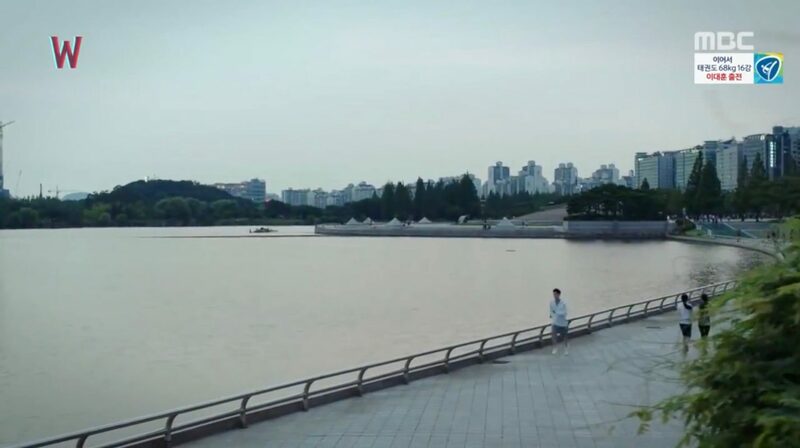 Go Eun-seong (Han Hyo-joo) and Park Joon-se (Bae Soo-bin) come to the Koi Bridge [호수공원 잉어 다리] of this park in the afternoon to cheer up Joon-se who had a clash with his father in episode 15 of Brilliant Legacy/Shining Inheritance (찬란한 유산) (SBS, 2009). 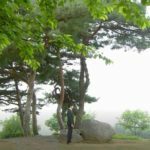 In the evening they are back here and Joon-se tells Eun-seong that he wants to stop being her ‘oppa’ but be her man. 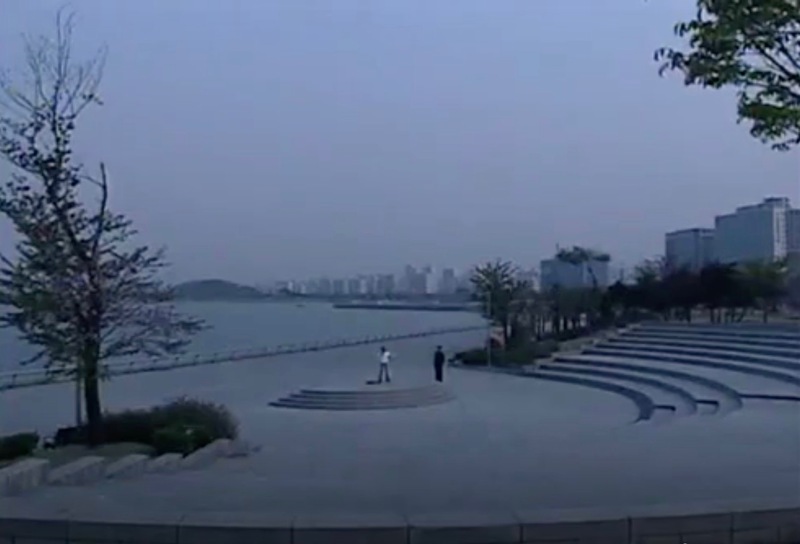 Lee Ma-ri (Choi Ji-woo) and Kim Chul-soo (Yoo Ji-tae) go here for a walk with their daughter in episode 20 of A Star’s Lover (스타의 연인) (SBS, 2008-09). 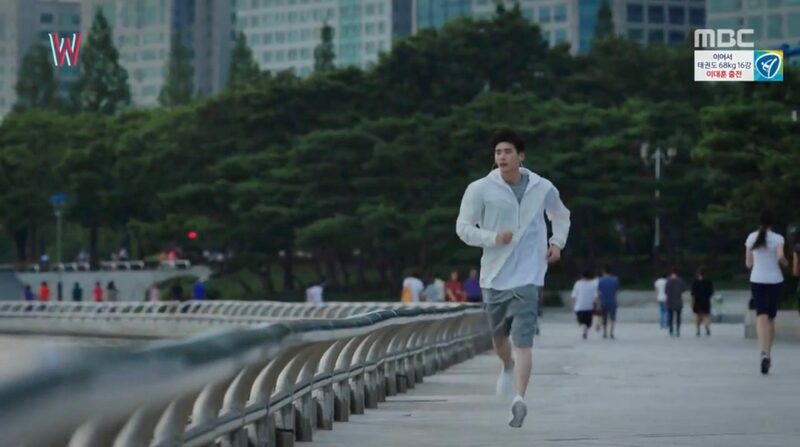 Hong Nan-hee (Soo Ae) and Byun Hyung-tae (Lee Jung-jin) come here for a jogging in episode 1 of 9 End 2 Outs / Two Outs in the Ninth Inning (9회말 2아웃) (MBC, 2007). 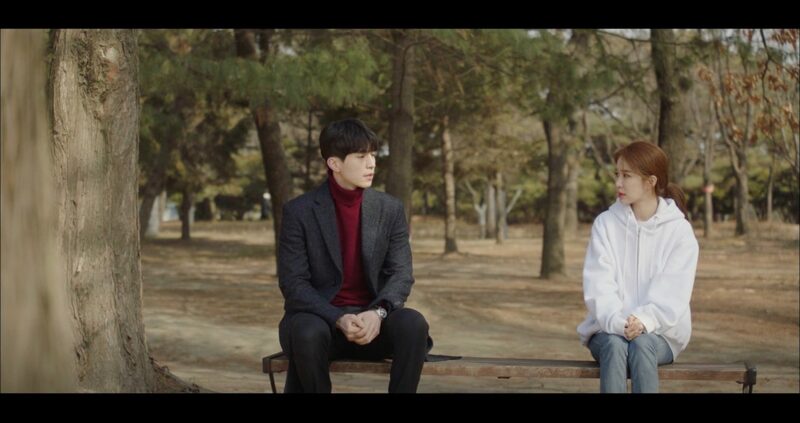 Yun Ho-jeong (Chae Rim) and Choi Kyu-in (So Ji-sub) come here for their first date in episode 12 of We Are Dating Now (지금은 연애중) (SBS, 2002). 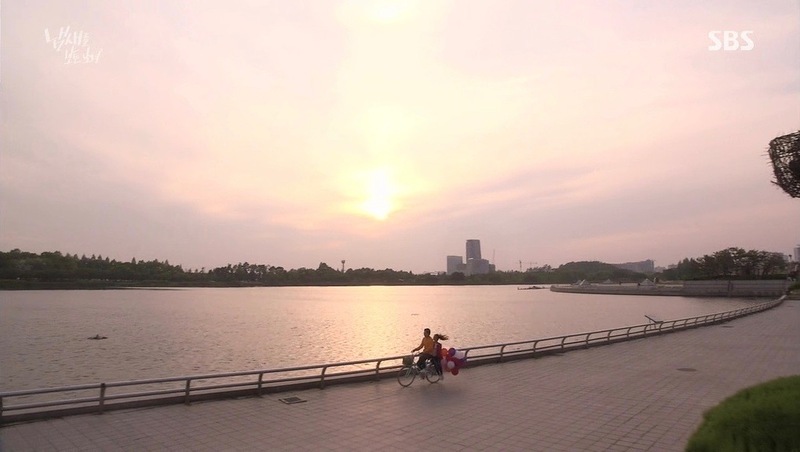 They ride bikes and have a picnic (prepared by Kyu-in himself) at Ilsan Lake Park Theme Plaza [일산호수공원 주제광장]. 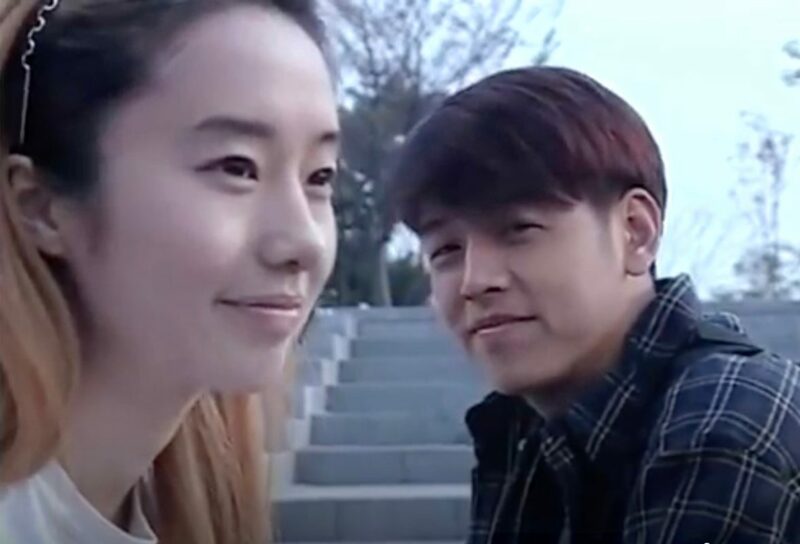 Lee Sun-Jae (Ryu Si-Won) and Kim Se-Na (Lee Jung-Hyun) come here in episode 14 of Beautiful Days (아름다운 날들) (SBS, 2001) to practice before her debut as a singer. 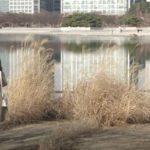 Lee Ja-young (Choi Ji-woo) and Park Seung-jae (Son Ji-chang) come here on a bike-date in episode 3 of Truth/Honesty (진실) (MBC, 2000). 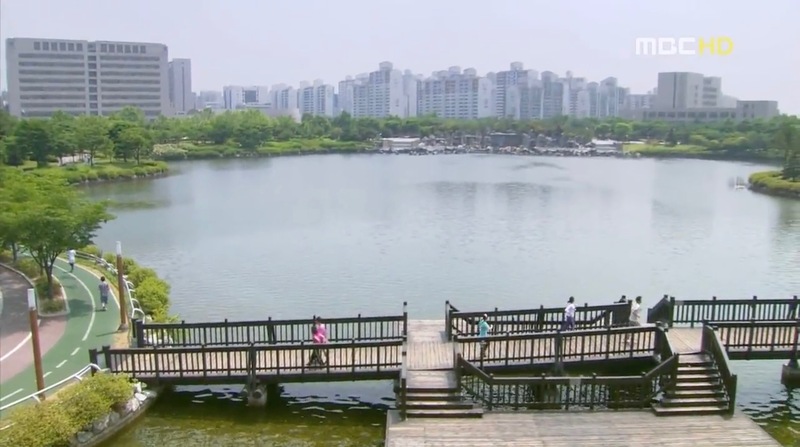 Also seen Yoo-Na’s Street (유나의 거리) (JTBC, 2014, episode 14); To The Beautiful You/For You In Full Blossom (아름다운 그대에게) (SBS, 2012, autumn bike scene); Dream High (드림하이) (KBS, 2011); My Girl (마이 걸) (SBS, 2005-06). 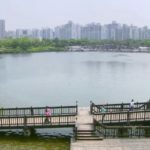 Ilsan Lake Park [일산호수공원] is a city lake park located in district Goyang’s neighborhood Janghang-dong [장항동] in the Ilsangdong District [Ilsandong-gu/일산동구]. 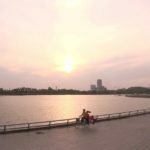 It is one of the largest artificial lakes in Asia, which opened in 1996.